I had heard so much about agar that I wanted to try it. What is it? 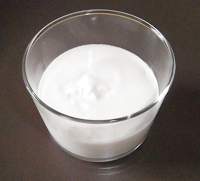 It’s a white powder made with algae and is used as a gelatine. The result of the experiment: it is a bit hard to find all the ingredients, but you get really nice first courses. With the agar, be sophisticated and original is really easy. You also discover new tastes. Crush the cheese with the cream until you get a creamy mixture. Add the pepper and thyme. In a saucepan, add the milk and the agar. Warm up for 30 seconds, add to the milk, mix and pour in verrines. Let cool down and leave 1 hour in the fridge. When you serve, mix the oil, honey and vinegar to get a vinaigrette. Unmold the verrines in the plates, sprinkle with bean sprouts and vinaigrette. Serve immediately. 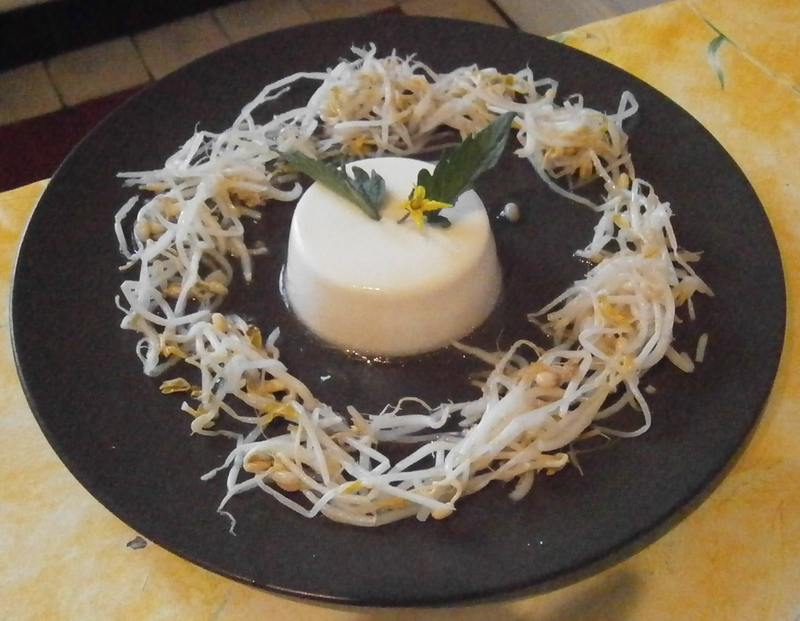 You can also leave the cream in the verrines and add the bean sprouts and vinaigrette on the top.